I had mentioned in one of my earlier posts that there is a big meeting being held on 15th September 2013 to discuss junior chess. On Friday there was an article that caught my eye in the Standard Newspaper. 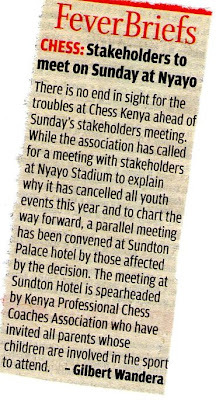 Kenya Professional Chess Coaches Association have also called for a meeting. This is the first time that I have ever heard of such a group and I guess that is what explains the major quarrel in Kenyan Chess. Further investigation revealed a very interesting story. The group is active on Facebook and have their own page – https://www.facebook.com/KenyaChessCoachesAssociation. The question is who is behind this seemingly very successful group. 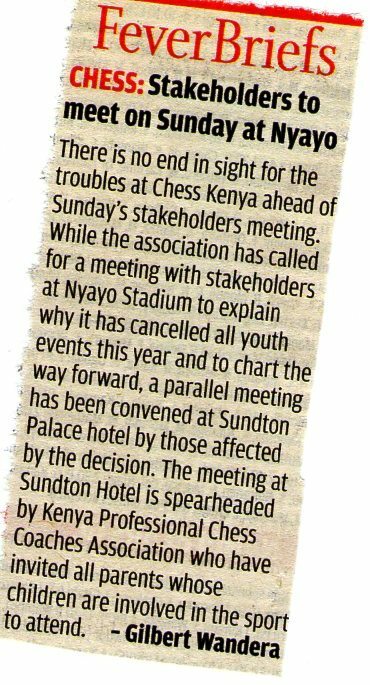 My guess that for Chess Kenya Bigwigs have formed the group to lobby for their interest. 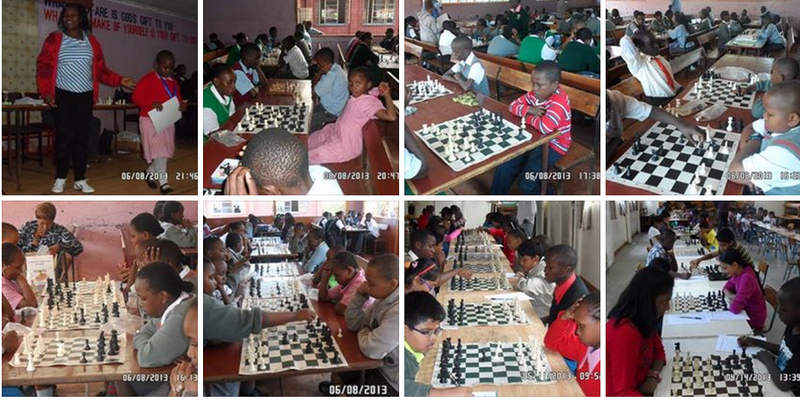 Kenyan Chess Coaches travel the world with the kids. So expect a big fight coming up soon! Next articleA Tribute To Westgate.